Choose in-season produce that will help you reduce muscle soreness, speed up recovery and improve performance. There’s nothing like biting into a perfectly ripe peach, tossing back a handful of sweet blueberries or snacking on refreshing watermelon. But seasonal summer produce offers so much more than great taste and nostalgia — many contain nutrients that may give your fitness routine a boost. From replenishing electrolytes and increasing blood flow to reducing muscle soreness and speeding recovery, these eight workout-boosting summer superfoods will have you running (literally) to the farmer’s market stat. This ruby red stone fruit actually comes in several varieties. The vibrant dark red cherries found at most stores are Bing cherries, which are revered for their antioxidant properties. Research has found that eating Bing cherries may reduce the prevalence of inflammatory diseases, like Type 2 diabetes, heart disease and cancer. However, it’s the tart cherry variety that is considered a true superfood for active individuals. Mainly, tart cherries and their juice have been shown to reduce oxidative damage from strength training and attenuate muscle soreness. The only drawback is that fresh tart cherries are hard to come by unless you live in a region that grows them. But dried and frozen tart cherries are available year-round. Add any type of cherry to your pre-workout breakfast with this recipe for Cherry Chocolate Overnight Oats. True to its name, watermelon consists of 92 percent water, making it a hydrating snack for the hot summer months. If you exercise outdoors, eating some juicy watermelon before or after your workout will aid in hydration and help provide energy. It also contains potassium, an important electrolyte lost in sweat. What’s more, watermelon has an amino acid called l-citrulline, which may diminish muscle soreness after intense exercise. So go ahead and add this Sparkling Watermelon Lime Slushie to your workout-fueling routine. A little known fact about everyone’s favorite fajita ingredient is that bell peppers are an excellent source of Vitamin C. “A red bell pepper contains more than twice as much Vitamin C as an orange,” says Angie Asche, MS, RD of Eleat Sports Nutrition. She adds that this essential vitamin is “an antioxidant that also plays a huge role in the production of collagen, the most abundant protein in our body.” And that’s good news for athletes because early research suggests that collagen may ease joint pain. Invite your workout buddies over for taco night or opt for these Vegan Southwestern Bowls. You’ll be hard-pressed to find more nutrition in a smaller or fuzzier package than the under-appreciated kiwi. This tropical fruit contains two important electrolytes, potassium and magnesium, plus antioxidants that prevent inflammation and actinidin, an enzyme that helps with protein digestion. If you’re intimidated by peeling a kiwi, don’t be. Cut it in half and scoop the flesh out of the skin with a spoon, or make these Toasted Coconut Kiwi Cups for a fancier snack. The tiny blue berry packs an antioxidant punch, according to Asche. “Athletes who consume berries prior to and after prolonged exercise experience less inflammation and oxidative stress,” she says. As a matter of fact, one study found that drinking a blueberry smoothie before and after the development of exercise-induced muscle damage helped athletes recover their strength more quickly. In other words, blueberries may help ease muscle soreness. Blueberries make a great topper on toast or oatmeal, or whip up this 3-ingredient Blueberry Chia Jam. Another purple item to add to your shopping list is the durable beet. “Even though beets can be harvested for a fairly long growing season, they tend to peak in summer and fall,” says Chrissy Carroll, MPH, RD and USAT Level I Triathlon Coach. “This is one superfood that should be in any athlete's diet, thanks to their dietary nitrates, a component that increases blood and oxygen flow to the muscles,” Carroll adds. There’s no denying the benefits of beets and their juice, and “ample research has linked consumption of beetroot juice prior to exercise to increased performance,” says Asche. 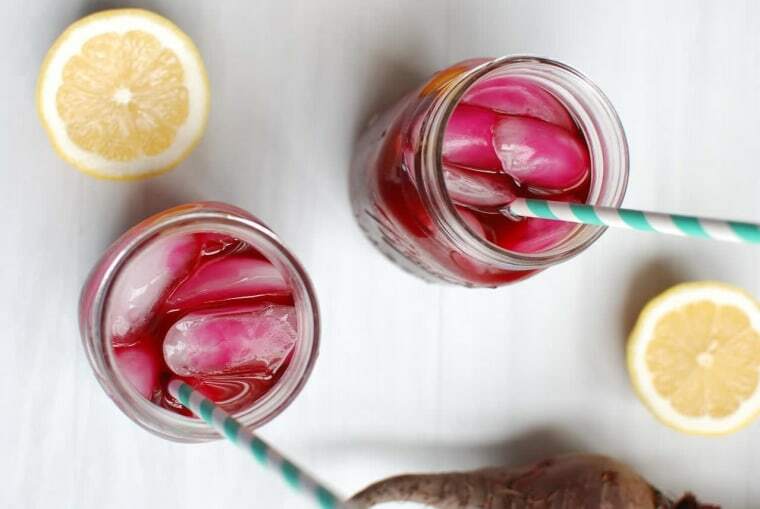 No one wants to roast beets in the dead of summer, so add raw sliced beets to your salad or try this unique beet lemonade. As every athlete knows (and dietitians can’t emphasize enough), hydration is crucial to athletic performance. “Drinking water is vital, but mixing in foods with a high water content also helps with hydration,” says Carroll. She recommends adding cucumbers to your fueling routine, since they are comprised of 96 percent water. Snack on cukes with some tzatziki or hummus, or whip up this gorgeous Spiralized Cucumber Apple Salad. This sweet Georgia fruit is packed with potassium, a mineral that helps maintain fluid balance within the body. Those who exercise for longer than an hour or in intensely hot conditions lose potassium in sweat and need to replace it for proper hydration. Snacking on a peach thirty minutes before a workout will offer quick acting fuel, or add them to your lunch with this Peach Panzanella Salad.